Whenever you surf internet you just type a specific URL on the browser and a particular sites opens. But have you ever thought what must the logic behind designing an URL. 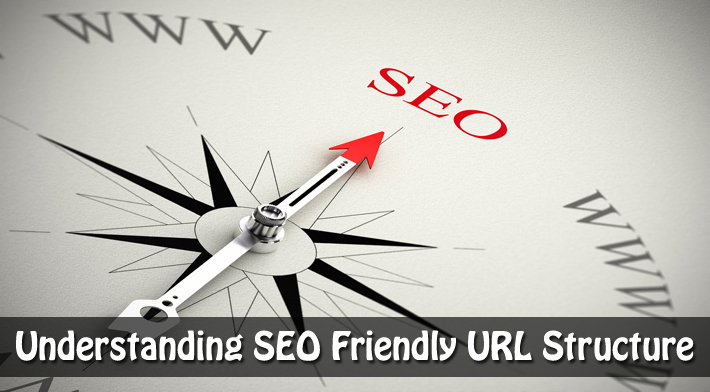 URLs are like one of the most simplistic parts of SEO, but there are loads of query which surfers or online geeks generally have. Below mentioned are some of the very simple and easy guidelines to help you out with making the best out of URLs. Hopefully these best practices can help a few folks make use of best practices before it becomes an issue down the road. An URL which is evident is a great URL. If a user can look at the address bar (or a pasted link) and make an accurate guess about the content of the page before ever reaching it, you’ve done your job. These URLs get pasted, shared, emailed, written down, and yes, even recognized by the search engines. As far as SEO is concerned, keep it short & simple. The words that directly relate to the meaning and purpose of your page are the best choice in most cases. Think about an eCommerce site that sells garments. Typically, you would like to create three sections, Men’s, Women’s, and Children, and then create the entire URL tree, following a top to bottom hierarchical approach. Now below we find a bit in detail about the naming part of it. While creating a file, consider all of the pages that will be located under the directory. You want to be sure you don’t name the files the same thing as one of your pages. Use your chosen keywords in your URLs and consider how people will be searching for content on your site. For example, on example.com, we have a resources section, but we know people often search with the phrase “how to…” so we focused more on this keyword phrase in our URL structure. 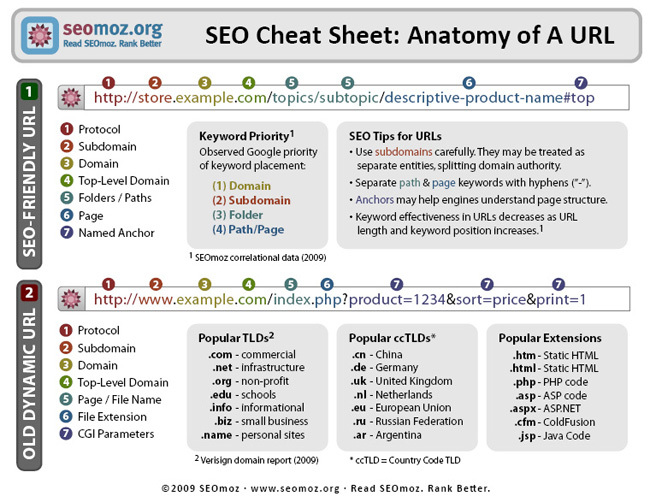 How we can forget The Anatomy of A URL by Dr. Pete from SEOmoz. Not to bring religion into this, but I can tell you with certainty that some of the search engines absolutely DO treat static URLs differently than dynamic ones. And no human likes a URL where the big players are “?,” “&,” and “=.” Google also mentioned about this in their Webmaster Tools Blog. We’ve come across many webmasters who, like our friend, believed that static or static-looking URLs were an advantage for indexing and ranking their sites. This is based on the presumption that search engines have issues with crawling and analyzing URLs that include session IDs or source trackers. However, as a matter of fact, we at Google have made some progress in both areas. While static URLs might have a slight advantage in terms of clickthrough rates because users can easily read the urls, the decision to use database-driven websites does not imply a significant disadvantage in terms of indexing and ranking. Providing search engines with dynamic URLs should be favored over hiding parameters to make them look static. If you’re thinking of using 114/cat223/, go with /brand/adidas/ instead. Even if the descriptive isn’t a keyword or particularly informative to an uninitiated user, it’s far better to use words when possible. If nothing else, your team members will thank you for making it that much easier to ID problems in development and testing. If you know that you’re going to be targeting a lot of competitive keyword phrases on your website for search traffic, you’ll want every advantage you can get. Keywords are certainly one element of that strategy, so take the list from marketing, map it to the proper pages, and get to work. For dynamically created pages through a CMS, create the option of including keywords in the URL. Recently, Google has changed the way they used to treat subdomains and subdirectories. Now, links pointing to a sub-domain also generate some credit to the root domain and vice versa. Therefore, it’s not nearly as definitive as it once was. Still, the preference is subdirectory, then subdomain. All of the links you generate to a sub-folder help your site, whereas only a portion of the links you point to a sub-domain will help your site. But Aaron Wall from SEO Book says distinction between a subdirectory and subdomain is both 100% arbitrary and life changing. When creating URLs with multiple words in the format of a phrase, hyphens are best to separate the terms (e.g. /brands/dolce-and-gabbana/), followed (in order) by, underscores (_), pluses (+) and nothing. File extensions simply doesn’t make any difference in terms of SEO. It’s likely that Google does not really assign more weight to a page with an .html or .php or .aspx file extension, as extensions can easily be generated dynamically. But W3C recommends directory-style URLs over extensions (under the heading, “What to leave out”). Google treats each URL above separately (and equally) regardless of whether it’s a file or a directory, or it contains a trailing slash or it doesn’t contain a trailing slash. Choose one URL as the preferred version and stick to it. If your site has a directory structure, it’s easier to use a trailing slash with your directory URLs. But do use a 301 redirect (or rel=”canonical”) from the duplicate to the preferred version. More on this from Google Webmaster Central Blog here. If your site uses a single format throughout, don’t consider making one section unique. Stick to your URL guidelines once established, so users (and future developers) will have a clear idea of how content is organized into folders and pages. This can apply globally as well for sites that share platforms, brands, etc. Re-inventing the wheel in situations where reliance on convention makes everyone’s tasks easier is folly. Since URLs can accept both uppercase and lowercase characters, don’t ever, ever allow any uppercase letters in your structure. If you have them now, 301 them to all-lowercase versions to help avoid confusion. If you have a lot of type-in traffic, you might even consider a 301 rule that sends any incorrect capitalization permutation to its rightful home. There’s no point to having a URL exist in which removing characters generates the same content. You can be virtually assured that people on the web will figure it out, link to you in different fashions, confuse themselves, their readers and the search engines (with duplicate content issues), and then complain about it. So in a nut shell we have got an idea as to what gives best results for URLs. Keeping these in mind will surely help you to create best URLs for your online dominance! Thanks Ajinkya! Glad you found the article helpful. Amazing summary, thanks especially for bringing all the Matt`s POOVs to one place. Cheers! Thanks Darragh! Glad you found that useful 🙂 Let me know if you need anything else.